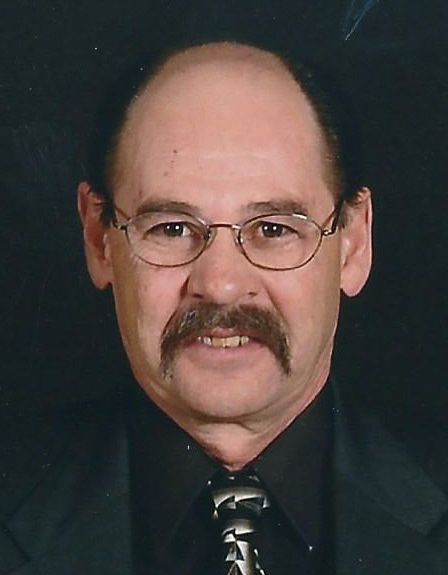 William "Bill" Gress (64) of Mandan, passed away peacefully on September 10, 2018 at his home with his daughter, Tiffany, at his side. A memorial service will be held Monday, September 17, 2018 at 11 AM at Weigel Funeral Home in Mandan, ND with Rev. Rick Loewen officiating. Bill was born September 5, 1954 to George and Mary (Schaner) Gress. He was raised and educated in New Salem, ND and graduated from New Salem High in 1972. One of the highlights of his high school career was being a state wrestler. He continued on to Bismarck Junior College where he received his Electrical Lineman certificate in May, 1975. Bill worked as a lineman out of state for a couple months. Then, in 1975 he started fulltime employment with Oliver-Mercer Rural Electric Cooperative in Hazen, ND. He worked his way up to Lead Lineman and Line Superintendent. In 2005, he graduated from Robert I. Kabat Management Internship Program. Shortly after he was promoted to Operations Manager for Roughrider Electric Cooperative (formerly Oliver Mercer REC). Bill held the position until his retirement in 2011. He had many stories and cherished his time with the co-op where they were more than co-workers, they were a family. Bill married Barb (Huncovsky) Gress on June 1st, 1974 and remained married until 1999. They had two children, Tanner and Tiffany, and five grandchildren, Cody, Colton, Kaden, Edrick, and Mia. Bill cherished being a father and grandpa, often times you would hear him talking fondly of them all. He loved watching his son Tanner wrestle who also became a state wrestler. He loved his large family of siblings, aunts, uncles, nieces, nephews, and cousins. The best memories were the times they were gathered together. He had such a giving, loving soul and would do anything for his family. 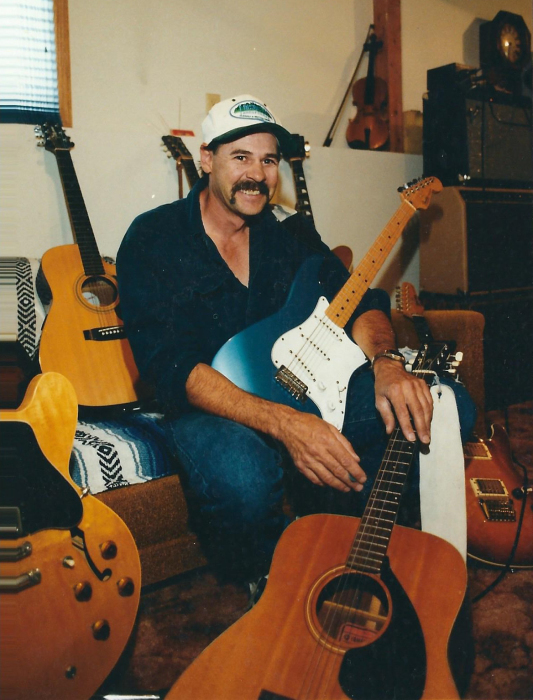 Billy was an amazing self-taught musician with a great passion for music. He enjoyed playing music along with his brother, Wayne, and father, George, at many family get-togethers. Bill could play numerous instruments but was a master with his guitars of which he had a huge collection. “Blondie,” his Blonde Gibson, was his pride and joy. He played lead guitar with the Missouri Valley band traveling across the state of North Dakota. 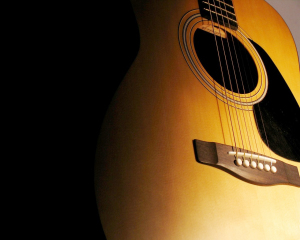 Bill filled in with many bands and was known to appear at local jam sessions regularly, on occasion playing in church, and bringing his guitar almost everywhere so he was ready to sing and play at a moment’s notice. Give him a few minutes with a song, and he could play it. William was a fun-loving man of many interests, talents, and abilities. He loved fishing, hunting, traveling, motorcycles, woodworking, playing guitar, his pets, family, and friends. He could do almost anything he set his mind to. He is survived by his son, Tanner (Andrea) Gress (Ft. Meyers, FL); one daughter, Tiffany (Adrian) Austin (Mandan, ND); five grandchildren, Cody Laws (Temple, TX), Colton Laws (Rolla, MO), Kaden Smith, Edrick Austin, and Mia Austin (all of Mandan, ND); three sisters, Eleanore (Roger) Gappert, Rita (Lee) Reynolds, and Helen (Norman) Schafer; and one brother Eugene (Sandy) Gress. Bill is preceded in death by his parents George and Mary Gress, his sisters Tillie (John) Tibke, Janette (Roger) Nagel, Linda (Red) Tibke, Donna Hagel, Vicky (Conrad) Pfleger, and one brother Wayne Gress. Bill's family wants to thank Dakota Home Care and CHI St. Alexius Hospice Care for their dedicated care that allowed Bill to stay comfortable in his home. We would also like to thank Ocean’s Paradise for bringing the ocean into his home so he could retire by the water and “fish” every day. In lieu of flowers, donations may be made in Bill’s honor to Bismarck Mandan Musicians Association, PO Box 88, Mandan, ND 58554.